Leading Manufacturer of hdpe bag eight colour flexographic printing machine, pp bags printing machine, pp fabric eight colour flexographic printing machine, pp & hdpe sacks printing machine, roll to roll flexographic printing machine and hdpe bag printing machines from New Delhi. 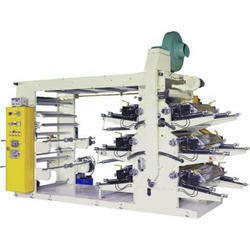 We are one of the largest manufacturers and exporters of HDPE Bag Eight Colour Flexographic Printing Machine. Being a reliable firm, we offer PP Bags Printing Machine to our clients. Power Requirement: 4 Colour Machine: 16 Kw.6 Colour Machine: 20 Kw. 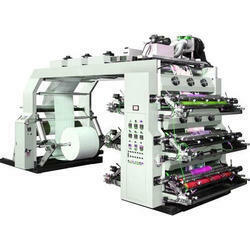 We are offering PP Fabric Eight Colour Flexographic Printing Machine to our clients. Our skilled professionals manufacture PP & HDPE Sacks Printing Machine from high quality raw material and latest technologies. Our offered machines are thoroughly checked by our quality inspectors against various parameters. Apart from this, the entire range can be customized as per the specific need of the client. 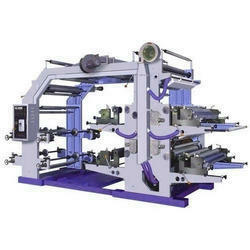 We are offering Roll To Roll Flexographic Printing Machine to our clients. A broad spectrum of HDPE Bag Printing Machines is offered by our organization which is made using advanced machines and technologies. We offer these printing machines in very cost effective price which become well known in the market for their flexible printing and durable life. 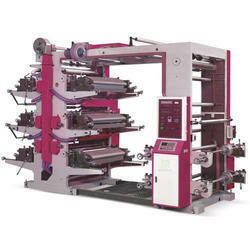 Looking for Roll To Roll Flexographic Printing Machine ?